The Department of Communication Arts & Sciences was in the spotlight at the National Communication Association convention in Dallas, Texas, November 16th-19th. What follows is a list of accolades accrued by members of the CAS community. 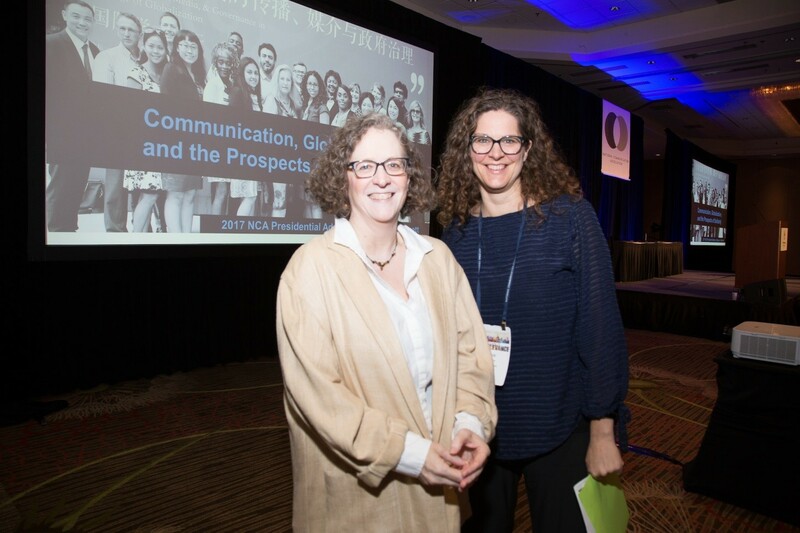 Photos, courtesy of Karen Campbell of NCA, feature new NCA Distinguished Scholar Mary Stuckey, and also Professor Debra Hawhee, who received two prestigious awards at NCA this year. 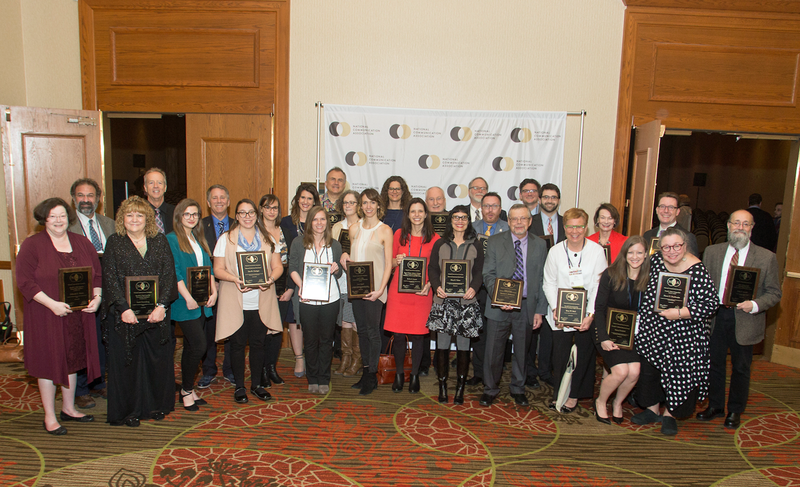 Stuckey and Hawhee are joined by incoming Assistant Professor Michael Steudeman in the group photo of all the recipients of association-wide honors. Congratulations to all!! Nikki Orth (MA student): Top Student Paper Panel, Theatre, Film, and New Multi-media Division.